This is the second in a however-many-parts-it-takes series about western vagrants showing up on the coast of North Carolina. So long as these birds keep arriving, I’ll keep doing what it takes to see them at great personal cost to myself. That’s my guarantee to you. If I have to add to my state list, well, I’ll make that sacrifice. 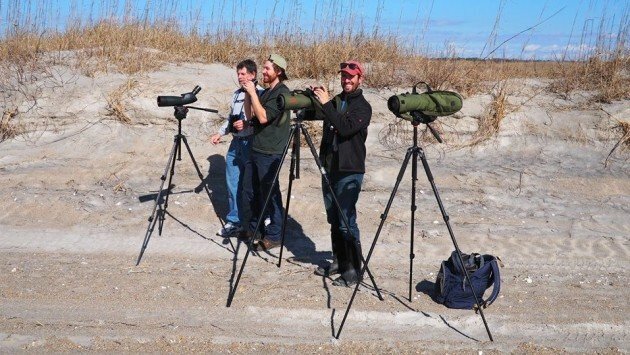 Back in November a small group of lucky shorebird surveyors found a Burrowing Owl sitting tight on a jetty on the south side of Masonboro Inlet in southeastern North Carolina. This was a third state record, and the first that was chasable. The island was not accessible except by boat, but the bird was mostly viewable from the north side of the inlet with a scope. The initial find was kept under wraps for birder drama reasons that are not worth getting into, but a handful of birders saw the little owl from across the inlet a couple days later and the owl disappeared soon after that to great wailing and gnashing of teeth from those who hadn’t been able to get down in time. After a couple days of no reports, everyone assumed the bird had moved on and people stopped looking for it. Fast forward to late February when a birder re-found the little owl, perched up upon the rocks in precisely the same place birders had left it in November. Frantic chasing commenced and for the next few days many birders were able to make contact, including this one. I headed down with my friend Will Cook earlier this month. We pulled into the parking lot, grabbed our scopes and headed to the inlet, feeling confident that we had what it takes to pick a little brown lump out of a great wall of gray-brown rocks. Thankfully when we arrived, birders were already on the scene, scopes pointed in the right direction. Would that all twitches were this easy. The view from the north side of the inlet. The owl was sitting on the rocky jetty on the opposite side. Through a scope it was easier to make out the tiny owl tucked into the rocks. Birders with access to a boat were able to get on the island and get closer to the bird, and kayak rentals on the beach were a popular means of crossing the narrow stretch of water. Those who did were generally rewarded. But I was happy with my look from across the inlet. I’ve seen Burrowing Owls well before and didn’t need to get up in this one’s face for my state tick. Happy birders watching North Carolina’s 3rd Burrowing Owl. So first Sage Thrasher, then Mountain Plover, then Burrowing Owl. What can we look forward to next? You know, this record makes me wonder more about the ancient record for Queens that was apparently put off as an escape from JFK. Why couldn’t it have been a natural vagrant? A good question and probably worth re-evaluating. In NC, we have some weird unaccepted records of birds that were thought to be car assisted, but plane seems weird. Especially since JFK would be a good place for one to show up, given that it’s next to the water and has a lot of short grass and whatnot. These are exceptional vagrants, especially that Mountain Plover. 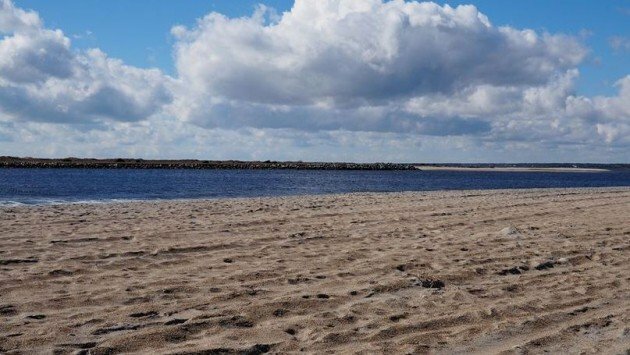 Because–where were the mountains on that beach? And, too many birds in Queens are discredited as being escapees from JFK.